Bottomline: Energy Sistem Headphones 2 has a sturdy body with attractive looks. The headband is firm and cushiony inside with superb battery. The music quality is good for romantic and subtle songs. Available at Rs, 2799 on Amazon. Technology becomes a trend when it turns difficult happenings into simpler activities. Energy Sistem, a technology company based in Spain maintains this thought to create its specialized technology for consumers. 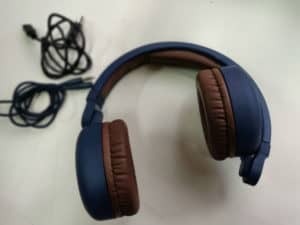 One of its technological creations that we had the opportunity to use were Energy Headphones 2 Bluetooth. They are comfortable over-ear headphones with noise isolation and call answering ability. 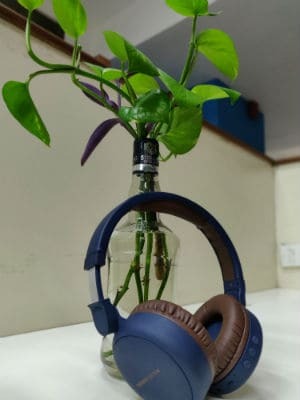 Thus, let us take you through the musical tour we experienced while reviewing the Energy Sistem Headphones 2 Bluetooth. Headphones 2 Bluetooth comes with on-ear closed design that completely engulfs your ears. The ear-pads inside the headphones are soft and comfortable and are 180-degree rotatable. The Energy over-ear headphones have a strong grip and the headband can be self-adjusted according to a particular requirement. The headband is made of plastic and coating of faux leather. The spongy layer inside of the headphones eradicates all the pressure and makes it wearable for long hours. With ease in build quality, Energy headphones can be your travel buddy. They can be simply packed in a pouch that comes along with the headphones. 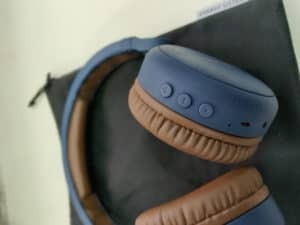 Also, the headphones have 7 buttons & ports on the right ear-cup, including volume +/ next, volume -/ back, multifunction button, LED status indicator, charging port, 3.5 mm audio input and microphone. The integral or the core of the review product is its performance i.e. the music quality of Energy Sistem Headphones 2 Bluetooth. It sounds well on medium volume but creaks on high pitches; you would be let down by its music quality on playing hard metal songs. Otherwise, the bass is balanced and treble is fine. The noise isolation quality of the Energy Sistem Headphones 2 Bluetooth works well; though, there could be noise leakages on high volumes. With a weight of 189g, the Energy Sistem claims to have 10-meter Bluetooth connectivity in the Headphones 2, while what we experienced was that it works fine till 7-8 meters and then the sound drops. 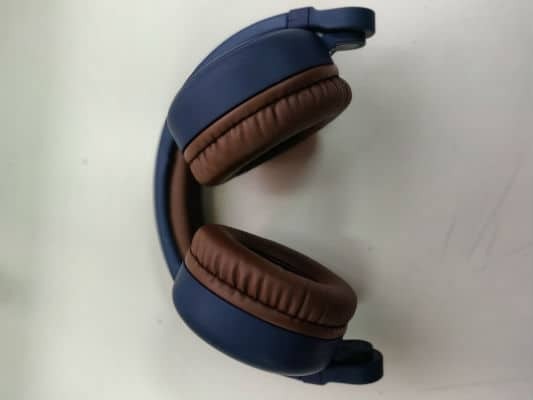 Though, the call quality of the headphones works great within a range of 5 to 6 meters. It is compatible with Android, Windows and iOS devices. And in times of low battery, you can use them as wired headphones; the wire is tangible and offers good performance too. After exploring an extensive music journey with the Headphones, we come to the understanding, if you like listening to soft, romantic, classical music from the 80s & 90s, then Energy Headphones could be the choice. Now, we reach the most significant part of a headphone its battery. Energy Sistem Headphones 2 Bluetooth has a robust and long-lasting battery. It is a Lithium-polymer battery with a capacity of 300 mAh. With a full charge, it can last for more than 17 hours at medium volume. At extreme high volume, the battery consumption would exceed. It has a type B MicroUSB charging port. When it is on low battery or charging, the LED light blinks red in colour and when its full charge, the LED light turns to blue. All in all, the headphones need to be charged for 3 hours to be able to enjoy music therapy for longer without disruption. 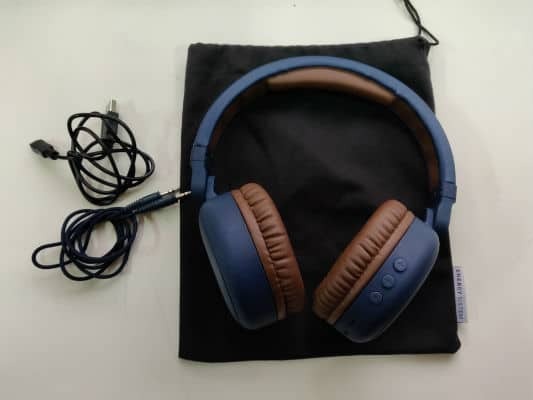 Energy Sistem Headphones 2 has a sturdy body with attractive looks. The headband is firm and cushiony inside, though; the grip can loosen-up a bit after use of two weeks. While its battery is superb as one can experience music for hours. The music quality is good for romantic and subtle songs. 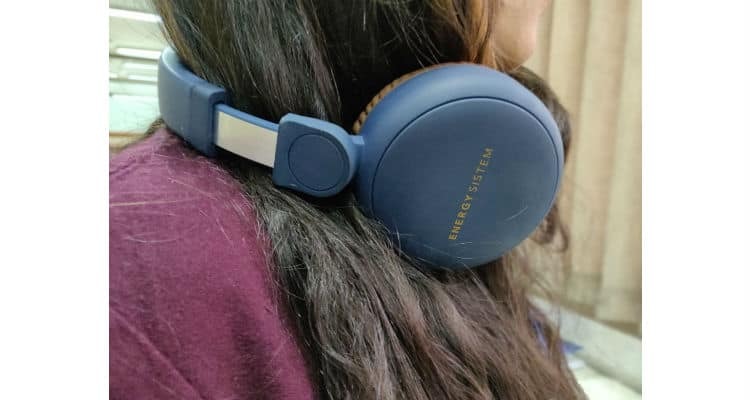 Available at Rs, 2799 on Amazon, Energy Headphones 2 are easy to pack and carry and could be a strong contender when you plan to purchase your next headphones.